DRONES: Do you or someone you know own and fly one? Do you know the Civil Aviation Safety Authority Regulations associated? 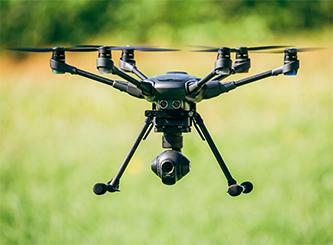 Drones are fast becoming very popular “toys” and are very useful in the commercial work environment. They are replacing humans in many fields! However, there are some rules that must be adhered to. You do not need to have a licence to operate one, but if you wish to earn money from operating your drone, it is best to go through the right channels to ensure you are able to do what you are trying to sell. When flying drones or model aircraft recreationally, you need to follow these simple drone rules to keep everyone safe. Be able to see the aircraft with your own eyes (rather than through first-person-view [FPV, binoculars, telescopes]) at all times, (unless you operate under the procedures of an approved model flying association. Contact the MAAA for more information about flying FPV). In controlled airspace, which covers most Australian cities, you must not fly higher than 120 metres (400 feet) above the ground. – remember this is above the ground the drone is above, not where you are standing. If you want to earn money from flying your drone, there are different rules depending on the size of your drone. Information is available about RPA operations flying commercially under 2kg, flying commercially over 2kg and flying in commercial-like operations over your own land. Never fly a drone or model aircraft near bushfires, floods, traffic accidents or any other emergency situation where you may be presenting a risk to the emergency operations taking place. While it might be tempting to record footage, you can pose a major safety risk to emergency personnel in the air and on the ground. Find out more on the remotely piloted aircraft in emergency situations page. If you have further questions about flying your drone or model aircraft recreationally, such as where and how to fly, restrictions and questions about the use of first-person view (FPV), you can contact the RPAS team through our online RPAS enquiry form. Access frequently asked questions, advisory information, RPA related websites and ‘Flight Safety Australia’ magazine articles online. The Model Aeronautical Association of Australia is recognised as a self-administering sport aviation organisation and has established model aircraft fields and experienced advisors who can help you with questions about model aircraft. The Australian Miniature Aerosports Society is also a national aero model organisation for model aviation in Australia. PreviousPrevious post:Sandra Kies – “Right Hand Man”NextNext post:Air New Zealand Visit’s Us!